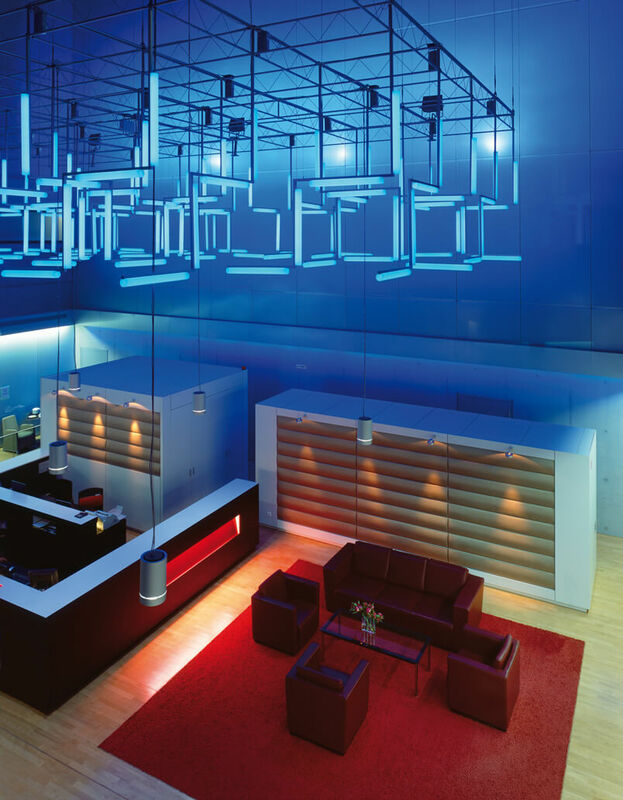 The entrance lobby of the Frankfurt hotels extends over six floors. 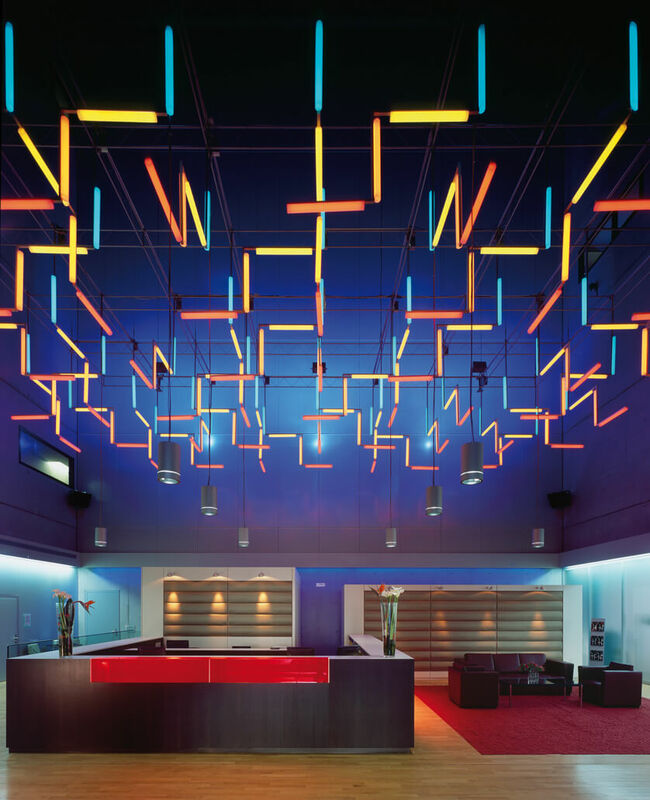 The light installation, hanging above in the airspace, is aesthetically aligned to the reduced geometrical formal language of the architecture and interior. 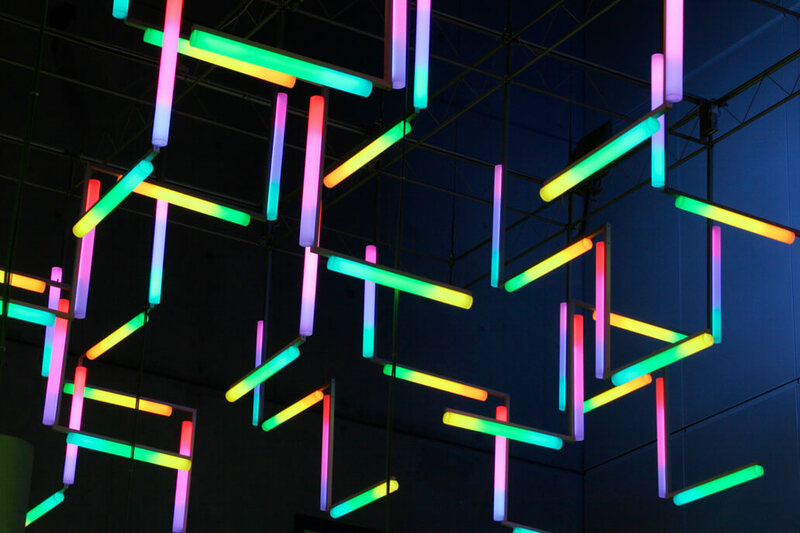 Horizontally and vertically suspended fluorescent tubes form a three-dimensional grid, while the color and brightness of the entire installation are dynamic. 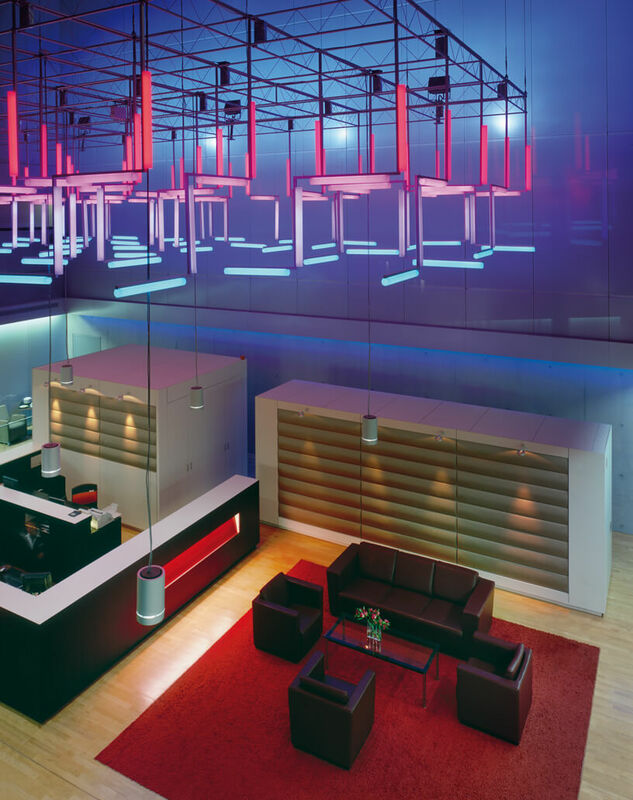 The result is an ever-changing, cloud-like grid of light that makes the height of the lobby both visible and tangible.